The last few days I’ve been busy speaking to people and networking in hopes of seeing real, tangible change in Hawaii. Granted, I’ve had to take vacation days to do this because I don’t get any money out of this. In fact, doing all of this costs me time and money. I still do these things because there’s a greater cause I’m supporting. I want to ensure that my kids will have a brighter future, especially here in Hawaii. Right now, the loudest voices have dominated Hawaii’s issues. As I look into what these forces want, they are stealing from the future. Like the ahu altar built with many different rocks of various sizes and shapes, it is a representation of our local culture and communities. There are many forces that have targeted the dismantling of that ahu. They take a rock here and there that very few notice the change. They seek bans of fishing areas, separate communities with community based fishing areas, take away water, remove corporations, ban biotech on one island, demand buffer zones of pesticides, close off oceans, while launching emotion laden fact-free campaigns to gain more traction under the guise of saving the earth for the keiki. One has to step back and question this astronomical rise in the protests and discord that’s brewing in our communities. Is it really local-borne when so many people are struggling to make it financially here? It’s clear that this is not locals raising the ruckus. It’s outside interests using the native rights issue for their own interests. What culture promotes the ideology that science cannot be a part of it? What culture promotes denying their keiki the ability to prepare for the future? What people freely disinform others with only half of the story? If you look at the canoe that the early Hawaiians constructed, it clearly wasn’t a one shot creation. It was likely made thousands of times before they figured out the proper materials needed. They also needed to figure out the best shape and design needed as well as the ideal tools to carve the wood. Although it’s not explicitly science, the process that they undertook was indeed scientific in nature. If you step back further, you must ask, why build a canoe to begin with and why study the stars? There’s was a vast ocean surrounding the areas around them and no way of knowing if there really was something out there. Some very brave and risky souls undertook a voyage and likely failed but some succeeded which led their people to opportunities. Human nature is such that we fear the new so these early explorers likely faced discrimination and ridicule. If the early people remained fearful, we wouldn’t have the Hawaiian culture if it weren’t for those brave pioneers of old. What is ironic today is the resurgence and romanticism of returning back to their culture. There a whole host of movies that show modern day folks going back to the loi (taro patch) to re-establish their bonds to the aina (land). 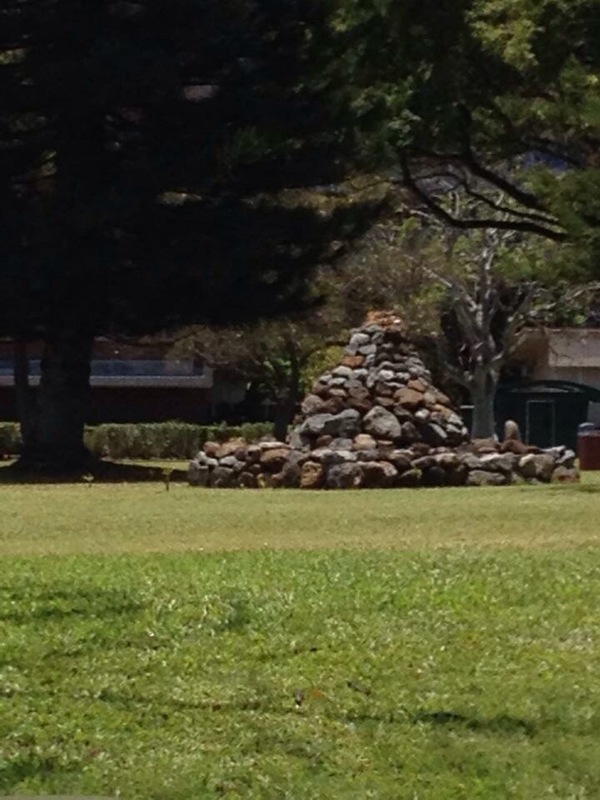 There are hundreds of natives proclaiming the sacredness of the kalo (taro) and of Mauna Kea. The leaders of these movements too are romanticizing the ancient days alongside transplanted white folks who suddenly speak the same words of malama (caring) and pono (righteousness). Is simply going back to the old days the only way to feel attuned to one’s culture or can there be something more that needs to happen? I have to wonder what is to be gained by this hip movement that is attracting many. Have people really looked at this culture of the moment and what its real consequences are? Is being a subsistence farmer going to help your children be prepared for the future? Would your ancestors be doing the same thing hundreds of years later or would they have innovated? When you ban access to the oceans via a monument or other vehicle, you take away from many generations to come. Like the Christians banning the Hawaiian language, a huge loss was created for generations. A father who built his own boat to bring fish for others can no longer teach his children the skills that he has learned from his father. The diver who learned from his grandfather how to feed his family can’t teach his child the rules of the oceans when ocean access is denied without good evidence to support it. The stories continue beyond the oceans. The farmer who grew taro for ever 100 years can’t keep his business afloat because or onerous regulations created by an imbalanced policy to protect a bird who is feasting on his crops. The fear mongering on pesticides has chipped at my brothers’s motivation to learn the business and my children may never know the lessons learned on the farm. While we have opportunities to further advance how we grow food, a large segment of people are denying global farming families these opportunities. The next generation may be facing even more hardship if they reject advances. While Hawaiian leaders are taking stands against the Thirty Meter Telescope and supporting the expansion of the Papahanaumokuakea Marine National Monument, neither stances are based upon evidence. It’s ironically similar to banning the Hawaiian language by the church. Denying fair access to the resources and evidence based policies can have unforeseen consequences that hurt people now, but the greater harm may be in generations to come. The people of the Center for Food Safety, the Sierra Club, Deep Green Resistance, and the Pew Trusts don’t know the livelihoods of the local folks in Hawaii. They are big money folks trying to create their vision for those who actually live off the land and oceans. Who knows Hawaii the best? It’s those born and raised here with long histories and stories. It’s Hawaiians, Chinese, Japanese, Koreans, Portuguese, Filipinos, Puerto Ricans and others who rely upon the aina too. Only supporting one group of people in our communities harms all the keiki from learning the skills and lessons of those who came before. The environmentalist are right in many ways about protecting what we love and saving the keiki. The local folks know exactly what that means because those are our stories that we have lived for generations. When we stand to lose access to oceans, water, tools, and technology without a good reason, we do more harm to our world than we can imagine. We are only stealing the future away from every single keiki in Hawaii by basing stances in ideology rather than evidence. The future is in our hands and we must not let those who try to use misguided values and visions steal our children’s hopes, dreams, and opportunities. Help stop the taking from our future. Sign the petition to save ocean access for the fishermen who feed us! Several years ago, my eldest daughter had asked for a globe for Christmas. Santa loves toys that are educational and timeless, so he brought it for her. As she’s turning into a tween, her interest in it has waned but my kindergartner has become very intrigued by it since our adventure to Ithaca last year. Well, I decided to search on YouTube Zambia and children. As expected, videos about feeding children came to the top of the search. I showed Katelyn the video without even screening it. I explained to her that there are children who only get to eat one meal a day. She was simply shocked. I asked her how she would feel if she only ate once and she said she would not like it. We had a great discussion about why momma went to Cornell to help kids who weren’t as lucky as she was. I emphasized to her how can you play when you’re always hungry? She said she can’t do anything when she is hungry. Sadly, there are so many in the world who are in this situation. As the video played, I could not help but think about how many times I was told that the “feed the world” message is “propaganda” by corporations. That message doesn’t resonate with people who have it all. As I watched the video of the children eating happily, a biblical passage came up. I’m not an ultra religious person but I can appreciate the moral lessons in the bible. The concept of feeding others isn’t something new at all. It’s no different than Jesus’ lesson on teaching a man to fish is better than giving it to him. The theme of Sharing our food is an ancient lesson that helped to build our societies and communities. As I showed Katelyn where her ancestors came from on the globe, it’s clear to me that we all came from some place far away. Hawaii was an area of global convergence thanks to agriculture. We cannot forget our roots in the global community. The Hawaiians descended from people that travelled from the Polynesias. They were travelers of the world themselves. We are global citizens. We can live under the fallacy that Hawaii is not key to the world but that’s operating under a false assumption. What we do in Hawaii affects the world and not helping others, especially the children, is selfish. We can teach our children to be self centered people or we can teach them some of the old lessons, which focused on compassion and thoughtful person to help their fellow friend across the world and in their communities. If you took away biotechnology from the Hawaii papaya farmers, we’d have no papayas anymore. If we stopped vaccinating children, we face the heartbreak our great grandmothers witnessed as their infants died in their arms from diseases we can now prevent. If we block a telescope that can expand our knowledge of the origins of our universe, we will lose the ability for our local kids to witness in groundbreaking discoveries. If we take away water and deny fair access to the resources, our beloved agricultural lands will turn into developments that will take more precious water. If we allow social science majors to impede science discoveries at the University of Hawaii, the mission of the land grant college will never be fulfilled to its potential. If we do not embrace education in science to play a role in elementary schools, our children cannot be prepared for future careers that can help innovate and adapt. If we continue to romanticize the old days, we neglect to learn from history the hardships our ancestors faced to get us where we are now. If our leaders give up access to the oceans, our youth cannot learn skills on how to feed themselves and learn a sense of appreciation for the food we have. If we fence off hunting lands from the hunters, a father cannot teach his son how to provide for his family using the resources available and how to conserve the environment. If we allow ideology of the kalo plant to dictate policy, when disease and pests decimate it, we won’t be ready to have knowledge on how to save it. If we don’t speak up now and take action, Hawaii’s future will be in jeopardy.